Courtesy of Metro Residential Realty, Inc..
Popular Beazer Homes ''Pearl'' Plan! Owner's Suite and two bedrooms + upstairs gameroom/loft!! Roomy kitchen with extra counter space, bar-top counter for casual dining or entertaining, stainless steel appliances, built in microwave and nice-sized pantry, next to a roomy dining area perfect for family gatherings. Corner gas fireplace makes the ''Great'' room a perfect entertainment spot. Perfect Owner's suite with garden tub, double sinks, walk-in closet AND a 23' x 8' Deck! Walled back yard with large covered patio and easy maintenance landscaping. The beautiful and comfortable home in a nicely established neighborhood is priced to sell and move-in ready. 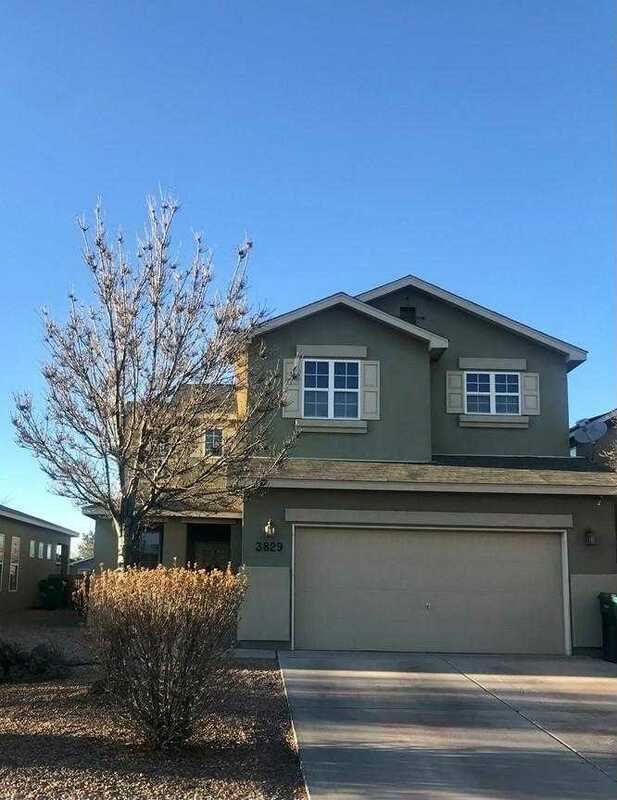 Please, send me more information on this property: MLS# 942043 – $198,900 – 3829 Buckskin Loop Ne, Rio Rancho, NM 87144.